Every dog owner on the planet -- especially those who share their beds with their furry four-footed friends -- can relate. Why do dogs want to play in the middle of the night, or eat at the crack of dawn, or go out at all hours, or jump up and jump down and jump up again? 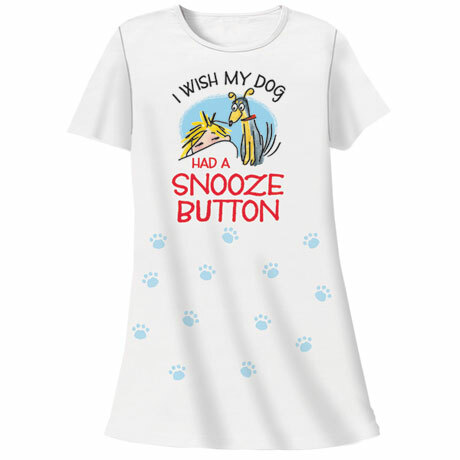 Nightshirt is 100% cotton. Hangs 36". One size fits most (6-20). Machine wash. Imported.